Iterator::m_ref should be initialized to subtree root. Iterator::m_state LSB indicates whether to visit children of m_entry. Definition at line 178 of file name-tree-iterator.hpp. Definition at line 158 of file name-tree-iterator.cpp. Definition at line 165 of file name-tree-iterator.cpp. 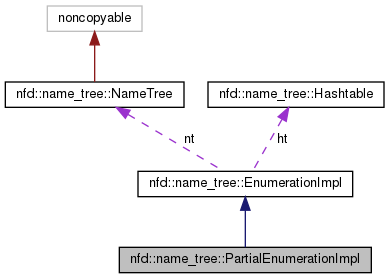 References nfd::name_tree::Entry::getChildren(), nfd::name_tree::Entry::getParent(), and nfd::name_tree::Entry::hasChildren().